On the 19th (Sun), wander the streets of Pike Place Market, take a leisurely stroll along Hiram M. Chittenden Locks, then explore the world behind art at Chihuly Garden and Glass, and finally take in panoramic vistas at Space Needle. Get ready for a full day of sightseeing on the next day: take in the exciting artwork at Glasshouse Studio, admire nature's wide array of creatures at Seattle Aquarium, then examine the collection at The Museum of Flight, and finally tour the pleasant surroundings at Alki Beach. For more things to do, where to stay, photos, and tourist information, you can read our Seattle trip planner . Bengaluru, India to Seattle is an approximately 25-hour flight. You can also do a combination of flight and shuttle. The time zone changes from India Standard Time (IST) to Pacific Standard Time (PST), which is usually a -13 hour difference. Expect cooler temperatures when traveling from Bengaluru in May; daily highs in Seattle reach 23°C and lows reach 13°C. Finish your sightseeing early on the 20th (Mon) so you can travel to Yellowstone National Park. Spend the 23rd (Thu) exploring nature at Yellowstone National Park. 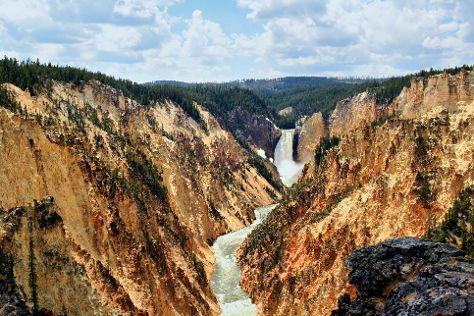 There's still lots to do: take in breathtaking views at Grand Canyon of the Yellowstone, witness a stunning natural landmark at Old Faithful, contemplate the waterfront views at Lake Butte Overlook, and make a trip to Artist Point. To see other places to visit, traveler tips, and more tourist information, use the Yellowstone National Park road trip app . You can do a combination of flight and car from Seattle to Yellowstone National Park in 5.5 hours. Alternatively, you can do a combination of flight, shuttle, and bus; or drive. The time zone difference when traveling from Seattle to Yellowstone National Park is 1 hour. When traveling from Seattle in May, plan for a bit cooler days in Yellowstone National Park, with highs around 13°C, while nights are cooler with lows around -3°C. Wrap up your sightseeing on the 24th (Fri) to allow time to drive to Jackson Hole. 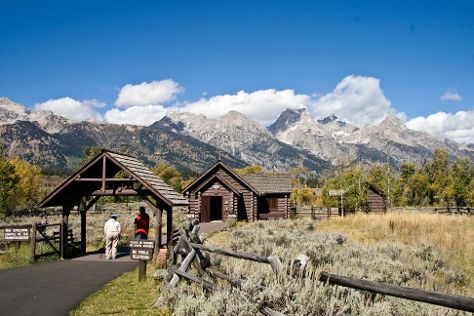 Start off your visit on the 25th (Sat): look for all kinds of wild species at Grand Teton. Get ready for a full day of sightseeing on the 26th (Sun): look for all kinds of wild species at Blacktail Ponds Overlook, then take in breathtaking views at Cascade Canyon, and then take a memorable drive along 42-mile Scenic Loop Drive. To find where to stay, reviews, traveler tips, and tourist information, read Jackson Hole vacation planner. Traveling by car from Yellowstone National Park to Jackson Hole takes 2 hours. Traveling from Yellowstone National Park in May, things will get somewhat warmer in Jackson Hole: highs are around 18°C and lows about 0°C. Finish up your sightseeing early on the 26th (Sun) so you can travel to Las Vegas. When in Las Vegas, make a side trip to see Hoover Dam in Boulder City, approximately 50 minutes away. And it doesn't end there: take in breathtaking views at Red Rock Canyon National Conservation Area, take in nature's colorful creations at Bellagio Conservatory & Botanical Gardens, get a taste of the local shopping with The Strip, and take in panoramic vistas at Eiffel Tower Viewing Deck. For where to stay, photos, traveler tips, and other tourist information, read our Las Vegas trip builder . Traveling by flight from Jackson Hole to Las Vegas takes 5.5 hours. Alternatively, you can drive. The time zone difference when traveling from Jackson Hole to Las Vegas is minus 1 hour. Prepare for warmer weather when traveling from Jackson Hole in May: high temperatures in Las Vegas hover around 36°C and lows are around 20°C. Wrap up your sightseeing on the 29th (Wed) to allow time to travel to Grand Canyon National Park. On the 31st (Fri), hike the day away at Bright Angel Trail. There's lots more to do: explore the stunning scenery at Grand Canyon South Rim, make a trip to Grand Canyon Village, hike along Rim Trail, and take some stellar pictures from Hopi Point. To find other places to visit, maps, more things to do, and tourist information, you can read our Grand Canyon National Park trip planner. Getting from Las Vegas to Grand Canyon National Park by combination of car and flight takes about 4.5 hours. Other options: drive; or take a shuttle. The time zone changes from Pacific Standard Time to Mountain Standard Time, which is usually a 1 hour difference. Traveling from Las Vegas in May, expect nights in Grand Canyon National Park to be much colder, around 0°C, while days are slightly colder, around 23°C. Cap off your sightseeing on the 2nd (Sun) early enough to travel to San Diego. San Diego is known for museums, zoos & aquariums, beaches, parks, and historic sites. Your plan includes some of its best attractions: admire nature's wide array of creatures at San Diego Zoo, tour the pleasant surroundings at La Jolla Cove, see the interesting displays at USS Midway Museum, and step aboard Maritime Museum of San Diego. To find reviews, other places to visit, where to stay, and other tourist information, read San Diego tour itinerary planner . Getting from Grand Canyon National Park to San Diego by combination of bus and flight takes about 8 hours. Other options: drive; or do a combination of shuttle and flight. The time zone changes from Mountain Standard Time to Pacific Standard Time, which is usually a -1 hour difference. While traveling from Grand Canyon National Park, expect a bit cooler days and much warmer nights in San Diego, ranging from highs of 26°C to lows of 20°C. Finish up your sightseeing early on the 5th (Wed) so you can go by car to Los Angeles. 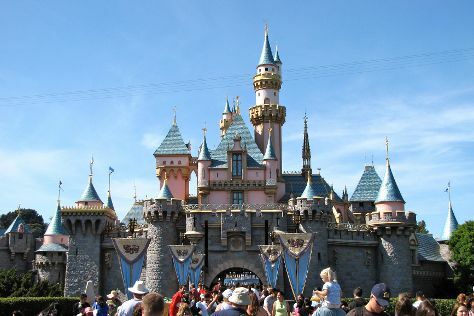 When in Los Angeles, make a side trip to see Disneyland Park in Anaheim, approximately 30 minutes away. Pack the 7th (Fri) with family-friendly diversions at Universal Studios Hollywood. There's much more to do: examine the collection at The Getty Center, see the sky in a new way at Griffith Observatory, take a leisurely stroll along Santa Monica Pier, and stroll the grounds of Hollywood Forever Cemetery. To find ratings, traveler tips, maps, and more tourist information, read our Los Angeles online vacation maker . Drive from San Diego to Los Angeles in 2.5 hours. Alternatively, you can take a bus; or fly. Traveling from San Diego in June, you will find days in Los Angeles are a bit warmer (30°C), and nights are about the same (19°C). Cap off your sightseeing on the 8th (Sat) early enough to travel to Yosemite National Park. Yosemite National Park is known for nature, trails, scenic drive, wildlife, and museums. Your plan includes some of its best attractions: take in the dramatic natural features at Glacier Point, take in the dramatic scenery at Yosemite Falls, hike along Nevada Falls Loop, and tour the pleasant surroundings at Mariposa Grove of Giant Sequoias. 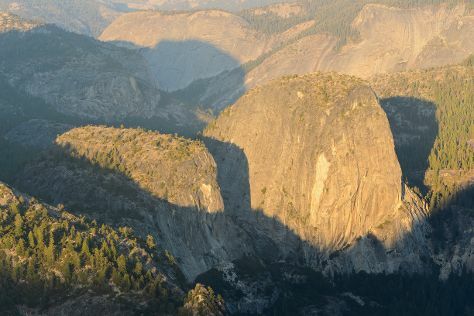 To see other places to visit, reviews, ratings, and more tourist information, use the Yosemite National Park trip tool . Do a combination of flight and car from Los Angeles to Yosemite National Park in 4.5 hours. Alternatively, you can drive; or do a combination of flight and bus. Traveling from Los Angeles in June, Yosemite National Park is slightly colder at night with lows of 7°C. Finish your sightseeing early on the 12th (Wed) so you can drive to San Francisco. Dedicate the 18th (Tue) to wine at some of the top wineries in the area. The adventure continues: snap pictures at Golden Gate Bridge, admire all the interesting features of AT&T Park, head off the coast to Alcatraz Island, and wander the streets of SoMa. 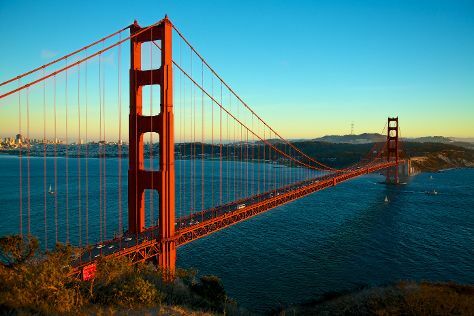 For photos, more things to do, and other tourist information, read our San Francisco trip planner . You can drive from Yosemite National Park to San Francisco in 4 hours. Other options are to do a combination of car and flight; or do a combination of bus and flight. Traveling from Yosemite National Park in June, expect nights in San Francisco to be a bit warmer, around 15°C, while days are a bit cooler, around 25°C. You will have some time to spend on the 21st (Fri) before leaving for home.